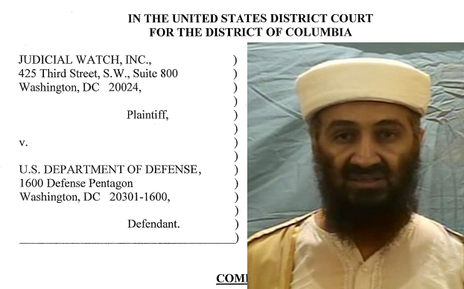 Judicial Watch is asking the Department of Defense to comply with a Freedom of Information request for the material, especially photos of the September 11 mastermind lying dead on the third floor of his Pakistan hideout. The legal complaint to force compliance was made in federal court in Washington on Friday. 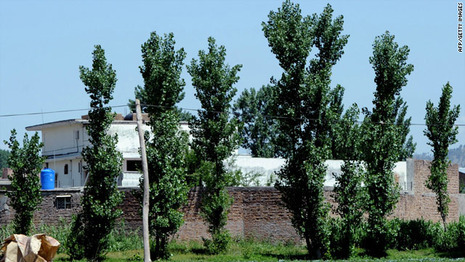 A legal watchdog group has filed the first lawsuit seeking the public release of the photos and videos of the raid on Osama bin Laden's compound in Abbottabad, Pakistan. Judicial Watch President Tom Fitton said Friday at a news conference that the release of the images from the Navy SEALs' raid on bin Laden's Abbottabad, Pakistan, compound are in the public interest.